What Type of Active Online Lifestyle Do You Have? A new VPN Infographic illustrates how your online profile relates to risk. People around the world are continually connected to each other online. Like an all-night diner, the Internet never closes. It's always open for business. And for everyday people like students, moms, dads and grandparents, too. For most us, the Internet today is woven into our work, our careers, our hobbies and interests, and our everyday lives. Like anything else, the Internet has its rewards and it has its inherent risks. You can make it fit perfectly into your lifestyle and activities, from arranging meetings and gym workouts; filling your calendar; reading and watching education videos; to attending virtual meetings. That's all the good part. The risks come from having too much of your life exposed to, or dependent upon, the Internet. Chances are, you fall into one of a several recognized categories of Internet users, based on your active online lifestyle. A colorful and fun new VPN Infographic cleverly places the majority of active lifestyles in one of six Internet-user types. (An infographic is a visual presentation of a complex topic. 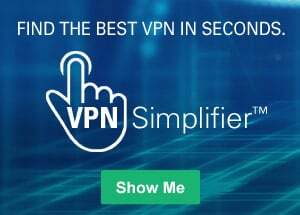 A VPN, for Virtual Private Network, is a secure and anonymous Internet connection that you can use to stay private. You can see the Online Lifestyle Infographic here. Too connected to be concerned? Parents of school age kids are glued to their phones, looking for updates on when school's out, who needs to be picked up, and who needs to be taken where. They're worried about homework, not hackers. They're the "Constantly Connected Type" in the VPN Infographic. Businesspeople use every minute to check on emails, text colleagues, book hotels and work on their spreadsheets and presentations. They're worried about profits, not privacy. The VPN Infographic labeled them The Traveling Type. Avid sports fans sign up for every professional sports package so they can to stay on top of their teams' games, to check their fantasy teams or to post their latest thoughts on their Twitter or Instagram page. They're worried about scores and standing, not security. The VPN Infographic call them the "Glass Half-Full, Glass Half-Empty" type. The Internet—actually, our Internet connections—are our lifelines to the rest of the world. We are also constantly texting, "Googling," browsing, buying, emailing or working online. The Internet for the Individual is personal. It's freedom and power at our fingertips. Speed, information, answers and action are the rewards for having the right, one-one-one Internet connection when you need it the most. It is our virtual library, office, secretary, messenger service, gym, calendar and more. It's our private and personal world popping up on a monitor or phone screen when we tell it to. When our online activity is being tracked, and we're not aware of it. We are so attached to the Internet—and it is so ingrained into our lives—that we just don't stop to think about the risks that are involved. That lack of concern is easy to understand: Until something negative happens to us online, there seems little to be concerned about. But, sorry to say to those who are too busy to think about it...there are risks. The Internet is not 100% unrestricted. To think there are no risks when you go online is to run the risk of having your data stolen or of being spied on; your actual (home) location discovered by IP address tracking; or having your computer taken over by a network of robot computers (botnet). It happens more than you think. Especially in these times of heightened national security, federal agencies are wielding more power to identify individual Internet users not simply to find their names or addresses, but to read their emails, observe their Internet behaviors and put traces on their online activities. What they all have in common. All of the Active Online Lifestyles share a common characteristic—they need to be able to use the Internet on their terms, all the time. They also share a common need, though they might not be as aware of it—privacy and protection online, all the time. Think of it like being a stranger in a large city like, New York City. Would you simply stroll around town without a heightened awareness of your personal safety and the security of your personal possessions? Even if you felt "pretty sure" that nothing would happen, wouldn't you take a few steps to learn how to be safe and smart on your visit? The answer is "yes." That is, if you stopped to think about it. While the VPN Infographic does a great job of colorfully illustrating the six Active Online Lifestyle Types, it also includes safety tips for each group. It's worth checking out. Not just for the fun of seeing what type you are, but what tips are worth following. You can see the VPN Lifestyle Infographic.